It should be of no surprise that maybe Paul W. S. Anderson's Resident Evil series isn't the most consistent with sticking to continuity. Despite this he managed to produce a successful run of six films even if originally three were all that were planned. He also may have wrote them, but the sequels got handed off to other directors, most notably Russell Mulcahy for Resident Evil: Extinction. When we last left Alice (Milla Jovovich) most of the world had been turned to uninhabitable desert. She had run into a bunch of survivors in a caravan led by Claire Redfield (Ali Larter), and helped them escape to a town called Arcadia, located in Alaska and promising refuge. Meanwhile, she infiltrated an Umbrella Corporation facility in the Mojave Desert, killing the evil doctor in charge of the place and gaining herself a clone army in the process. 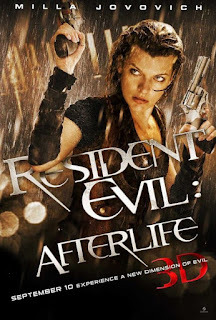 As Resident Evil: Afterlife begins we see Alice making good on her promise from the end of the last movie, using her clones to attack the underground Umbrella base located in Tokyo. It is one of the few still in operation and is led by Albert Wesker (Shawn Roberts), who it turns out has been enhanced by the T-virus much like Alice has. During a fight on board an escaping aircraft, he overpowers her and injects her with an antidote that negates her powers. However, piloting doesn't seem to be one of the skills he has gained, and Alice manages to stumble out the only survivor. From there it's off to Alaska, only to find out Arcadia doesn't exist and Claire has been implanted with some sort of scarab device that has made her violent and erased her memory. Claire slowly comes back to normal and the two fly down the West Coast, eventually encountering a small group of survivors that have taken refuge in the Citadel prison in Los Angeles. As the city burns around them and the undead gather outside, Alice makes the discovery that Arcadia is really a freighter that happens to be parked just offshore. The prison, among others, also contains Claire's brother Chris (Wentworth Miller), and with their and Alice's help the survivors must brave the zombie horde to see what type of sanctuary, good or bad, that Arcadia contains. This is the last of the series that I have previously seen. I've been holding off on the last two until I got a chance to rewatch the rest, and I am glad I did. 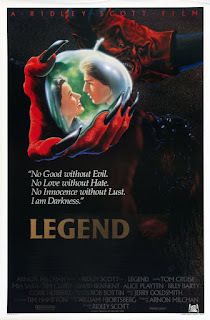 My memories of this movie was of a few good action scenes but without much to connect it. 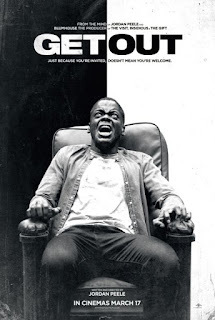 It struck me as a hollow movie where random stuff just happened without any reason. Good visuals, as usual, but with the normal frustrations I have whenever Anderson himself directs. I don't think that watching this film would ever convince anyone it is high art, but there is much more to it than I originally thought. Sure, there are too many scenes that are reminiscent of The Matrix (especially since it had been over a decade since the Wachowskis' movie had hit the theaters), particularly in the climactic battle. However, it is overshadowed by the brilliant opening invasion of the Tokyo complex as well as the fight featuring Alice and Claire tagteaming against a giant, hammer-axe wielding zombie that the dead use as a walking siege engine. And that is one of those things that shows how memory can fail. The Axeman (as he's so creatively referred to) was one of the most memorable creatures in the series, right up there with Nemesis from Resident Evil: Apocalypse. Extinction may be a better movie than either Afterlife or Apocalypse, but it did lack a truly well-designed monster; Dr. Isaacs may have been a strong opponent, but there's nothing too memorable about his mutated form at the end. The only thing I really ever remembered about Afterlife was the Axeman, and I always remembered him being underused. I have no idea how I forgot about the fight with him, especially since it involves Alice's special shotgun loads made of roles of quarters. It's one of the shining moments of the whole series. As usual a good number of the actors perform their own stunts, most notably Jovovich and Boris Kodjoe, who plays a former basketball player trapped in the prison with the others. While This is normal for the series, but also normal is that the actors are still one-dimensional. Alice hasn't changed too much throughout, although it was a good idea to take some of her more outrageous powers away. Ali Larter is believable in her fight scenes, but Claire is given even less here to do than she was in Extinction. Chris Redfield may also be another ally for Alice, but suddenly giving Claire a brother when Anderson hasn't even bothered to develop her beyond a sidekick seems like an unnecessary move. Yes, I am aware that Claire's search for her brother is major part of the video game's plot, but the whole subplot was erased from Extinction, so suddenly bringing it up in this movie is just confusing. As usual with Resident Evil films it helps to have a good central villain, and Shawn Roberts plays Albert Wesker with cold glee. He is pure evil and powerful enough to prove a challenge for Alice while not so overpowered that it is unbelievable that he can't be defeated. He's pretty much everything Dr. Isaacs wanted be. 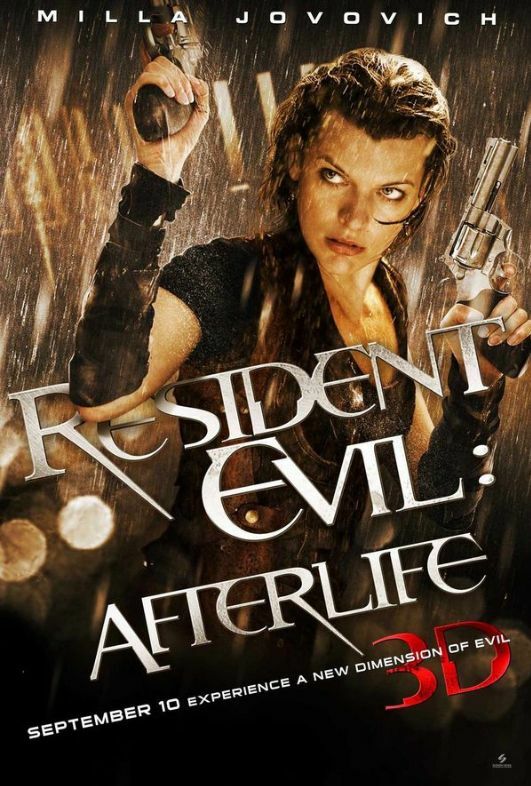 Resident Evil: Afterlife does have a huge amount of problems despite being one of the better entries. In Extinction we are led to believe that the events are taking place five years from the end of Apocalypse, while here we are told specifically that the attack on the Tokyo complex is about four years in, making the events in the previous movie three years after the originals. I had a problem with Las Vegas being covered completely in sand after only five years, and three makes it even less plausible. And, speaking of sand and a dried, shriveled-up Earth, that idea seems to have gone by the wayside. I can forgive the idea of Alaska being one of the last refuges, but despite the fact that Los Angeles is in a constant state of burning there seems to be plenty of fresh water available, something we are led to believe is a rare commodity in the new world. 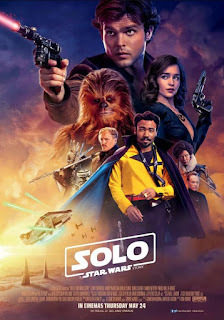 Also, despite the fact that it works as a pure action-packed b-movie, Anderson's return as expected makes for a great-looking movie that seems to lack any substance. It's a problem most of his movie have and why he is often mentioned in the same breath as Uwe Bohl and M. Night Shyamalan. Or, I should say, was. Anderson actually seems to love making movies for reasons other than trying to exploit tax loopholes, and Shyamalan has caught a second wind as of late. At some point, still, I would love to see Anderson matched with a decent screenwriter as I think something really interesting could come from his visual if given a chance to bring life to something other than his bare frameworks that he considers scripts.